I would like to give a warm welcome to our first Design Team members and Guest Designers. Soon they will be inspiring you with their amazing layouts and projects! We are also keeping the design team call open until further notice. Please see the original post for details. We are still looking for a couple more Garden Kit designers and Fairy Garden Kit designers. We hope you can come join our team! I started with scrapbooking in 2003 and since then I've been stuck. There are so many things I want to try out and learn to do. I love dies and collect them. My kids say I have too many dies already….Too many?? You cant have too many dies right? I love to make mixed media and go crazy with all those colors and mediums, but I also love to make cards and Lo's and 3D Projects. I spend a lot of time on the internet and looking at creative blogs to find inspiration. 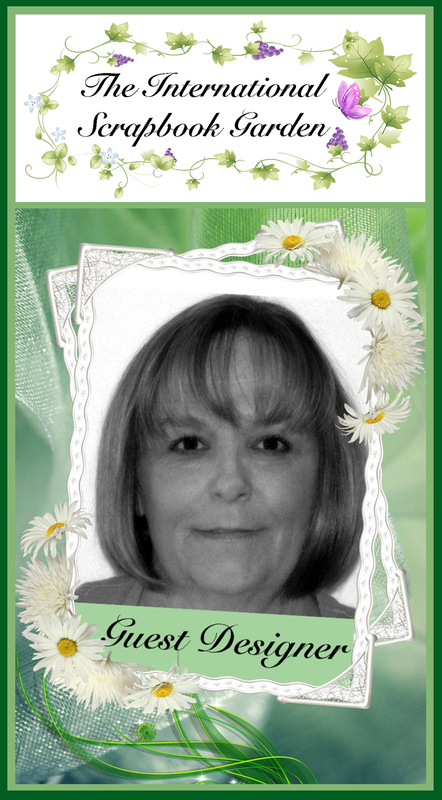 Hi everyone, my name is Debbie Burns and I'm excited to be guest designing for The International Scrapbook Garden. I've been scrapbooking for 18 years. I love to create shabby chic layouts incorporated mixed media. I live in Maryland and am a single mom to two grown children and one precious dog. By day I'm an Assistant Project Manager for a general contracting company specializing in commercial interior work. It's a fast paced job and many long hours. To unwind I love to scrapbook and work outside in my flower gardens. Grand Opening Sale and Summer Toolshed Kit Reveal!